What is Causing my Seizures? A recent case study published by the legendary Dr. Roy Sweat is linking head trauma, concussions and seizures together. 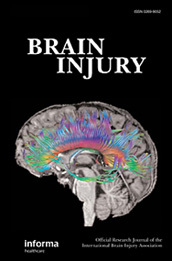 According to the case study there are about 500,000 brain injuries in the United States every year. Of the people hospitalized for a brain injury only 5-7% ever experience a seizure disorder from their injury. Seizures within the first week of a brain injury, in the elderly, and immediate seizures (within 24 hours of a brain injury), are more likely to lead to post concussion seizures. After a thorough evaluation in an upper cervical chiropractic office the 76-year-old patient was found to have an Atlas Misalignment based on objective measurements. She was then x-rayed and her misalignment was mathematically calculated to decide the type of correction that was necessary. After her first Atlas correction she was able to look over her shoulders, her wide gait was improved. She was no longer feeling like a seizure was coming on. After 2 months of care the patient was re-evaluated and the objective findings were much improved including neurological, muscular and postural testing. The patient had no seizures since the first correction, normal, pain-free neck rotation, normal walking pattern, increased energy, improved clarity and brightness in her vision and improved hearing. The patient has her blood pressure checked regularly with her family practitioner and no longer experiences blood pressure fluctuation. Have you ever had a concussion? Lost consciousness? Had stitches to your head? Has is that trauma effecting you? Maybe you are having seizures or some other symptoms that are effecting the quality of your life. Then an upper neck evaluation is extremely important. There are very few doctors that have the training and experience required to properly evaluate and correct an underlying cause of a variety of different health problems called an Atlas Misalignment. Does my insurance pay for NUCCA? This is a question we sometimes hear at Breath of Life. The answer is it depends. Does your current plan have out of network reimbursement? Do you have an HSA or similar plan that allows you to pay for the health care that you want? But the bigger question is what if it doesn’t pay…is that the determining factor in whether or not you are going to get the help that you need? If you are waiting for your insurance to make you healthier than you are going to be waiting a very long time. Insurance is not about health care it is about sick care. Crisis intervention is where insurance makes the most sense. Does your insurance pay for your gym membership? How about the supplements that you take? How about a reverse osmosis water purification system? This are all areas that can help improve your overall health and well-being, but there is no way that an insurance company is interested in paying for these wise decisions. NUCCA is the same way. Does NUCCA make sense? Yes. Does it address an underlying cause of a variety of different health problems? Yes. Do the medications that your insurance covers address the cause or just cover up the symptoms while you get sicker? That’s for you to answer. Insurance companies frequently pay for unnecessary surgeries and medications for years but are not interested in you addressing the cause of your problem. So don’t let your insurance determine if you are going to be helped. Seek the cause and in the long run it will cost so much less in time, money and frustration. How can I get the normal motion back in my neck? Many patients will come to me or other NUCCA doctors after they have tried everything and have seen everyone. The most I have ever heard was 50 different doctors before seeing me! Sometimes it must be hard to keep looking for answers. But I want to encourage you that your body was designed to heal. The cause of the problem is the key to getting well. Here is an example…Linda is a fitness trainer who for more than 25 years did not have normal motion in her neck. It was so restricted that she couldn’t turn beyond 15 degrees to the left (normal is 70 degrees). 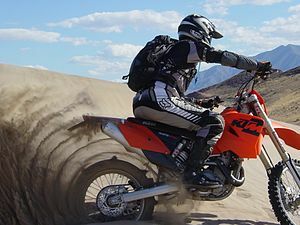 It all started like most problems in the neck with a head or neck trauma. After a severe fall where she hit her head on a tile floor she couldn’t move her head to the right. She saw dozens of chiropractors, trainers and other practitioners searching for a solution to this loss of range of motion with no results. Finally she heard about NUCCA. NUCCA is a unique form of spinal care focused on restoring the heavy head (10-14 lbs) to a balanced and normal position. As that head is realigned, the spine begins to heal. Over time range of motion improves. In Linda’s case she is up to 50 degrees to the right and 70 to the left. Continuing to keep her head balanced on top of the spine should allow those tissues to heal even more and range of motion to continue to improve. I had a serious head injury hitting my head on a tile floor when I was 24 years old. I went to several different chiropractors over the last 27 years and none of them were able to help adjust my head. NUCCA is so different. I felt a difference in the first session and Dr. Davis’s technique is so gentle. My range of motion has improved greatly and the comfort of my neck, I am so grateful. Other parts of my body are also feeling the effects of being in alignment. I sit straighter, stand taller, and feel better. I’m also blessed by your entire staff. If you have lost the normal range of motion in your neck, this is a sign that your body is trying to tell you that something is wrong. Find a NUCCA doctor in your area to get a proper Upper Neck Evaluation today. Is there any Hope of getting well? Hope is a very powerful emotion. John Maxwell once said “when there is hope in the future, there is power in the present.” Many patients come into my office as a last hope. They may have tried the medical approach, alternative approaches and even other chiropractic approaches. But when they hear about NUCCA, a sliver of hope is born. NUCCA is a form of care that is focused on restoring the heavy head to a centered and balanced position on top of the neck. The rehabilitative process that ensues once the underlying problem is identified is truly amazing. As the brain can begin to send proper messages to all areas of the body, hundreds of different conditions have responded to properly aligning the head and the neck. Typically accidents or injuries will tear loose the connective tissue that holds the spine in place which will lead to a weakness in the spine at the level of the atlas the top bone in the spine. This weakness will allow the weight of the head to shift from center and begin a cascade of compensations throughout the body leading to pain frequently and poor health. When I first came to Breath of Life, I was suffering from extreme back pain that was resulting from motorcycle crashes and weight lifting injuries. I had been to other doctors and took medication all in hopes of finding relief, but nothing worked. I looked to NUCCA Chiropractic as a last attempt to find relief. I have seen many improvements in my health since starting NUCCA care. Not just in my back, but in my energy level, mood and overall well-being. I am now able to lift weights without worrying about starting another flare up. At work I am so much better now, that I am pain-free and I am even nicer more of the time. I never realized how much being misaligned affected my moods. If I see someone who is suffering from any kind of pain that they don’t know how to alleviate, I tell them to try NUCCA, because it worked wonders for me when I had no hope. I now look forward to every adjustment. Knowing that when my body is in alignment I will always leave feeling so relaxed and in the best mood! Fibromyalgia is a little understood illness that still has the stigma of not being a real disease to many ignorant people and doctors. However, people who do have fibromyalgia would argue that the reality of their life with fibromyalgia includes pain, stiffness, fatigue, and difficulty sleeping. As a recent patient told me “everything but my eyeballs hurt!” I have also been told by patients that it feels like you have the flu…achy all over…but it never goes away! Perhaps studies of the brain changes and chronic pain may help researchers and doctors better understand illnesses like fibromyalgia. The latest research is suggesting that fibromyalgia has a connection with the central nervous system and is the result of a malfunction, or dysfunction, of the central nervous system. A. Kuchinad and colleagues studied 10 women who had fibromyalgia and compared them with 10 women who did not have the illness. Among the women with fibromyalgia, Kuchinad’s team found a reduction in brain tissue that wasn’t found in the controls. This finding was backed up by yet another study not long after. Other research has shown awake like brain activity in patients with Fibromyalgia when sleeping. No REM sleep leads to the unrefreshed sleep common with the condition. tests to rule out all other possibilities and IBS is only diagnosed when all other illnesses are ruled out. People with IBS experience pain and cramping, and diarrhea or constipation, or both. As with fibromyalgia, brain imaging of patients with IBS has found a loss in brain tissue and the patterns are very similar to fibromyalgia and other chronic pain issues. Frequently, an undetected head or neck injury that is affecting the brain is the cause. A Brain Stem Subluxation causes pressure on the central nervous system at the level of the atlas (top bone in the neck). When accidents and injuries tear loose the connective tissue that holds the spine together it will create a weakness and allow the spine to break down and lock into a stressed position. 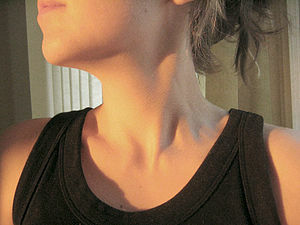 The most vulnerable area of the body to trauma is the upper neck because it is the most movable area of the entire body. If that top bone is misaligned it disrupts the function of the central nervous system. I have seen hundreds of patients with brain stem subluxations in my practice and frequently it is an underlying cause of conditions like Fibromyalgia and Irritable Bowel Syndrome. For instance my patient who 3 months ago said that everything but her eyeballs hurt…reported today that 80 % of all the Fibromyalgia symptoms are gone! This is a condition that she has struggled with for over 9 years and has seen a half a dozen different doctors. What has happened to her body? Due to a head trauma that had occured earlier on in her life, her head and neck were significantly misaligned and that misalignment was causing pressure into the brain stem. As the pressure has been removed her body has begun the healing process. The longer that nervous system has been dysfunctional the longer it takes to heal. But at 3 months she has already had a dramatic decrease in pain and stiffness, can sleep through the night and has near normal energy. So does this type of treatment help everyone with Fibromyalgia and Irritable Bowel Syndrome? Of course not! Nothing is 100%. But if you have had a head or neck trauma prior to the onset of the symptoms then Upper Cervical Chiropractic could be the answer. Here is a quick way to see if you may be a candidate. Postural problems are common with Upper Neck Misalignments. So stand in front of a mirror and close your eyes. Bring your head down and back up and then open your eyes. Do you notice that your head is tilting to one side? Are your shoulders level? It is not definitive…but if you have a history of any type of head or neck trauma then the chances that you are a good candidate go up dramatically. Sometimes it is difficult to remember head or neck traumas especially if they have been years or even decades earlier. So here are some questions to ask yourself. Have you had a concusssion? Been knocked unconscious? Had stitches to your head? 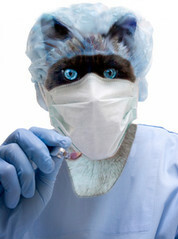 Most doctors will do a complimentary consultation to see if you are a candidate. Just when you thought you checked everything…have you checked to see if your head is on straight?